Microsoft is the primary supporter of the ASPInsiders. They share many of their products and seek the input of the ASPInsiders particularly for assistance in the ongoing development of their ASP.NET technologies. ASPAdvice.com provides a large number of general email lists for answering technical questions on a variety of subjects. In addition to providing the general public with this invaluable service, ASPAdvice.com also provides the ASPInsiders a set of email lists that are used in the day to day business needs of the ASPInsiders. Without these lists, the ASPInsiders group would be unable to conduct its daily business. red-gate software produces "simple tools for Microsoft developers, testers, and DBAs." They support the ASPInsiders by sharing their unparalelled SQL tools and their ANTS profiler tool. Telerik is a fast-growing vendor of reusable .NET components for rapid development of websites and web-applications. They support the ASPInsiders, sharing their extensive suite of .NET components. Server Intellect is a renowned web hosting company that supports the ASPInsiders by providing their extensive and reliable web hosting services to all ASPInsider members. James Shaw's Dozing Dogs CMS has served over 50 million page views in the last 2 years and has features missing from CMS' costing 100 times more! Dozing Dogs supports the ASPInsiders by offering free licenses of this quality product to all its members. ORCS Web has been a leading supplier of web hosting technologies and services since 1996. Providing reliable messaging services to communicate effectively world-wide and manage an international membership base are key factors in allowing the ASPInsiders to function on a daily basis. Founded in 2001, 9Rays.Net has gained wide experience on the tools and components market, developing high-quality products for the following platforms: Microsoft. NET (Windows.Forms and ASP.Net), Borland Delphi, C++ Builder, ActiveX. The company's primary product focus is on development of .Net tools and components compatible with Visual Studio .Net, C# Builder, Delphi.Net and other IDEs for .Net Framework. 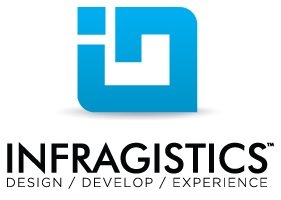 Infragistics is the world leader in presentation layer components. They empower developers and designers to create stunning user interfaces with ease through their controls, components, and tools for .NET and Java and are proud to support the ASPInsiders with their flagship product suite, NetAdvantage for .NET. Developer Express engineers feature-complete visual components and IDE tools for Visual Studio .NET. Our technologies help you build your best, see complex software with greater clarity, increase your productivity and create stunning applications for Windows and the Web in the shortest possible time. All of our products come with a 60 day unconditional money back guarantee and fully functional evaluation versions are available for download at www.devexpress.com. iFinity is a supplier of modules and consulting services for the DotNetNuke website platform. http://www.ifinity.com.au. Aspose is a leading vendor of .NET, Java, SharePoint development components, and rendering extensions for platforms such as Microsoft SQL Server Reporting Services and JasperReports. Aspose's core focus is to offer the most complete and powerful set of file management products on the market. Aspose products support some of the most popular file formats in business, including: Word documents, Excel spreadsheets, PowerPoint presentations, PDF documents, Microsoft Visio diagrams and Microsoft Project files. We also offer OCR and image manipulation tools. 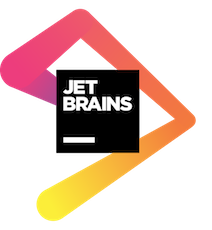 JetBrains is widely known for its innovative .NET developer tools such as ReSharper for Visual Studio and Rider, a fast and feature-rich cross-platform IDE with a deep understanding of all .NET languages and technologies. JetBrains supports ASP Insiders providing complimentary licenses for ReSharper Ultimate, Rider, and/or WebStorm. To claim your complimentary product license, please complete this request form on the official JetBrains website. elmah.io is a cloud-based error management and logging tool for .NET web developers. By combining both client and serverside error logging with uptime checks and deployment tracking, you will get the perfect overview of the current state of your applications. elmah.io supports ASP Insiders with a free personal subscription for elmah.io. Please visit our ASPInsiders Sponsorship page for details and get in contact through the support widget, to claim your free subscription.